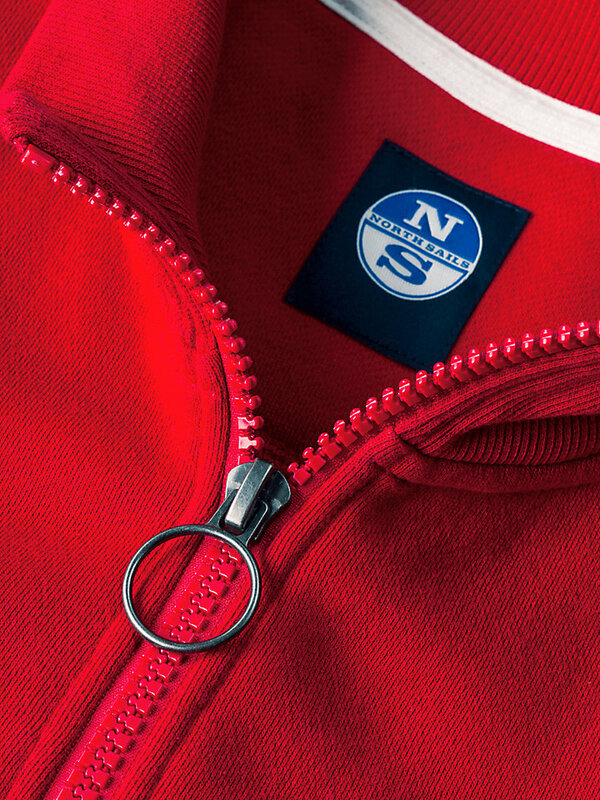 Classic full zip with North Sails logo and lateral pockets. Available in a range of fun and traditional colors, suitable for everything you’ve got planned. 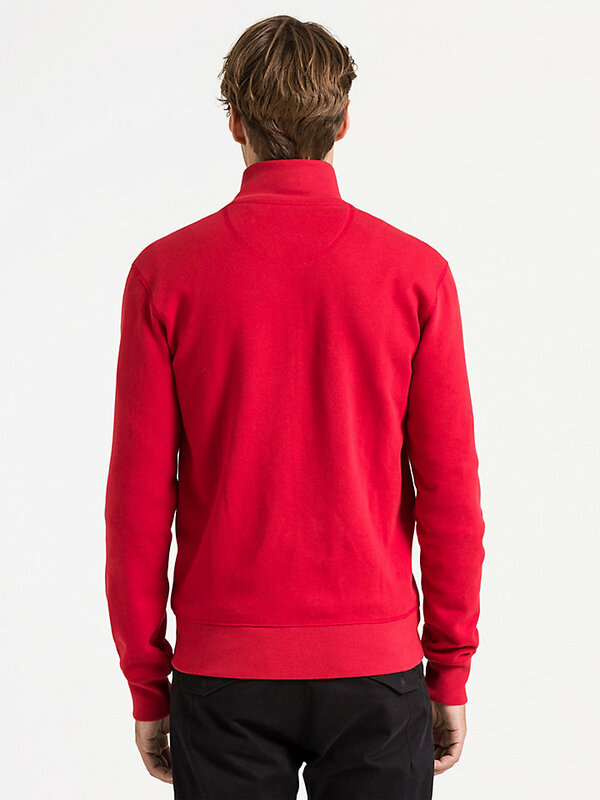 Ribbed hem on bottom, cuffs and neck. 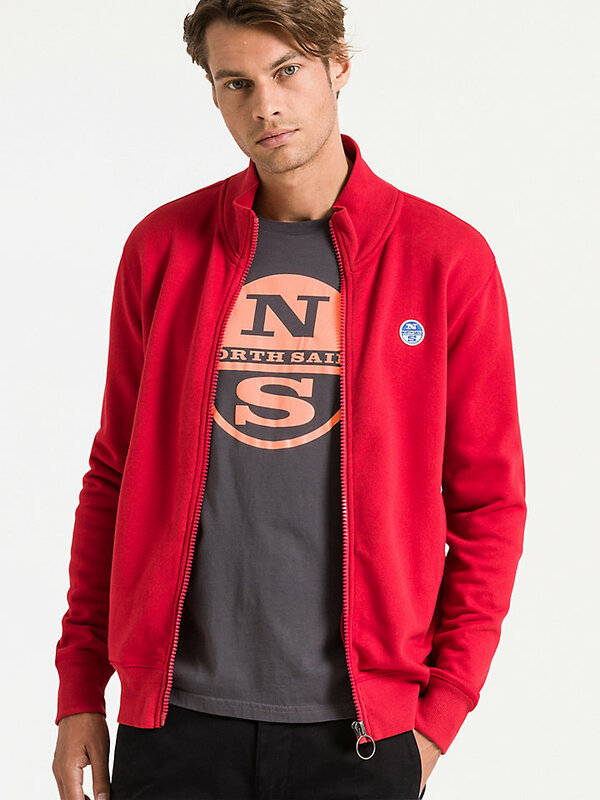 A true North Sails classic piece of activewear: this is a comfortable full zip sweatshirt for all of your endeavours. 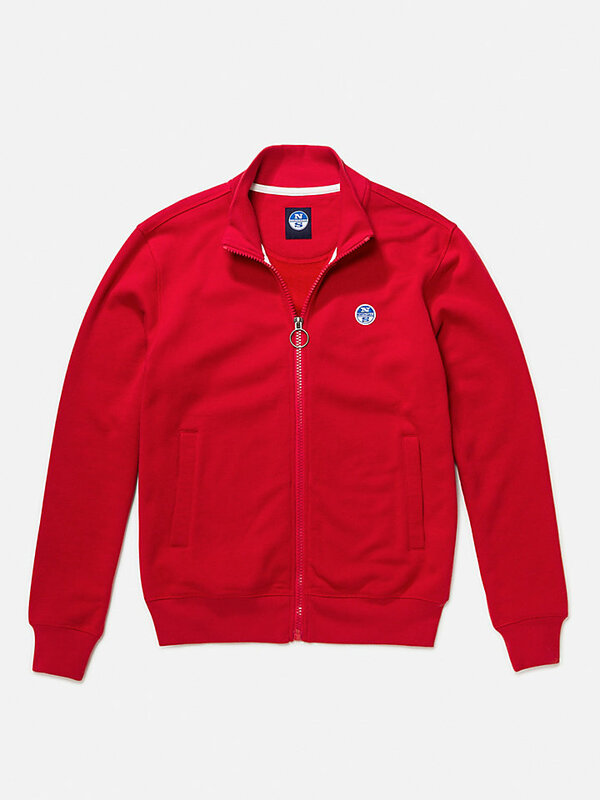 It is made with a soft cotton blend and adorned with a signature patch at the left chest. 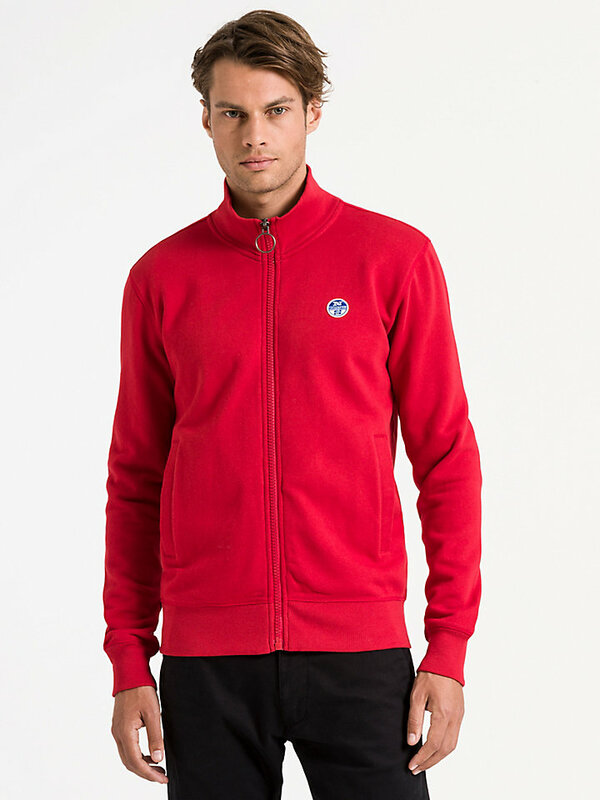 Move or stay: it doesn’t really matter, as long as you do it in this full zip longsleeve with fleece on the inside. It comes in a wide range of fun and classic colors, such as pompeian red, verdant green and, naturally, ocean blue.